We, the undersigned organisations call on Interpol, and all other relevant bodies and authorities to act with due diligence in accordance with Interpol’s constitution to prevent the misuse of Interpol alerts against Leyla Yunus and Arif Yunus, two prominent human rights defenders from Azerbaijan. The couple currently resides in exile in the Netherlands, where they were granted refugee status in 2016. Detailed information about their human rights activism can be found below. Interpol’s constitution prohibits the misuse of its systems for political purposes and in ways that violate human rights. Leyla and Arif Yunus were arrested on 30 July and on 5 August 2014 respectively. 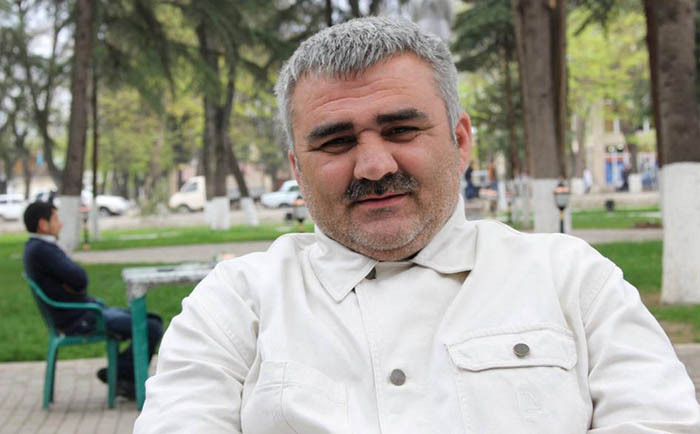 Azerbaijani authorities prosecuted both on politically motivated charges of large-scale fraud, while also charging Leyla with bogus forgery, tax evasion, and illegal entrepreneurship offences. In August 2015, a court sentenced Leyla Yunus to eight and half years imprisonment, and Arif Yunus to seven, having convicted them of tax evasion and other economic crimes. Authorities also filed treason charges against them both, but later suspended the investigation. On 9 December 2015, Leyla Yunus was released from detention and her eight-and-a-half-year prison sentence was converted into five-year suspended sentence, following a decision by the Baku City Court of Appeal on the basis of a request from her lawyers with reference to her deteriorating health condition. Similarly, Arif Yunus’s prison term was changed to a five-year suspended sentence. He was placed under house arrest on 12 November 2015. In April 2016 the Azerbaijani government allowed the couple to travel abroad to receive needed medical treatment for conditions they had developed during their prison ordeal. Due to the politically motivated nature of their prosecution, in spring 2016 the couple received political asylum in the Netherlands. When Leyla and Arif left Azerbaijan, their cassation appeal was still pending before the Supreme Court. On 27 December 2016, the Supreme Court sent the case back for re-examination to the Baku Appeal Court. On 17 May 2017, at the hearing at the Baku Appeal Court, the Yunus’s lawyer asked the court to ensure the couple’s participation in the proceedings via internet. The court rejected the petition. The same day, the court ordered the couple to return to the country to participate in the subsequent court hearings in their case. The court hearing was rescheduled from 31 May to 3 July 2017. The arrest of Leyla and Arif Yunus happened against the backdrop of a rapidly deteriorating human rights situation in Azerbaijan. Since 2014, several dozens of human rights defenders, lawyers and journalists and opposition politicians have been arrested and prosecuted on politically-motivated grounds. 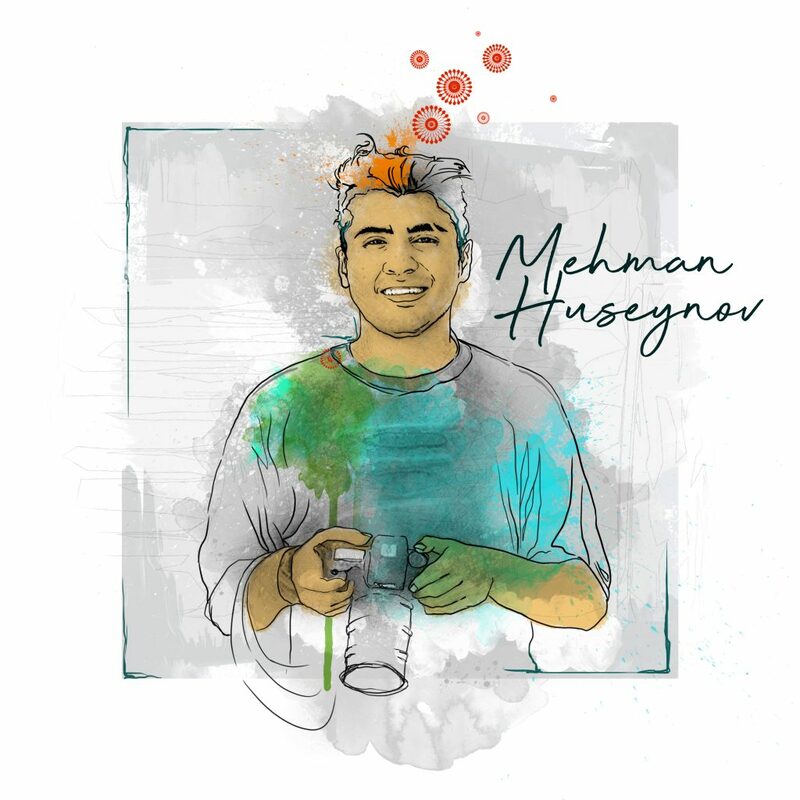 The arrests and other steps by the government of Azerbaijan have served to severely close the space for independent activism, critical journalism, and opposition political activity in the country. Azerbaijan has been ranking as Not Free in the Freedom in the World rankings of the Freedom House for several years, scoring the lowest on the political rights and civil liberties. In the latest Freedom of the Press rankings, Azerbaijan scored the 162nd place out of 180 countries. The United Nations Working Group on Arbitrary Detention recently concluded an official visit to Azerbaijan. In a statement issued at the end of its visit, the Working Group concluded that human rights defenders, journalists, and political and religious leaders continue to be detained on criminal or administrative charges in the country as a way to impair their exercise of basic human rights and fundamental freedoms and to silence them. The Working Group stressed that these practices constitute abuse of authority and violate the principle of the rule of law that Azerbaijan has undertaken to comply with. One of the cases highlighted by the Working Group is that of Leyla and Arif Yunus. In his recent report to the Human Rights Council, the United Nations Special Rapporteur on human rights defenders, Michel Forst also drew attention to the legal persecution of human rights defenders in Azerbaijan. 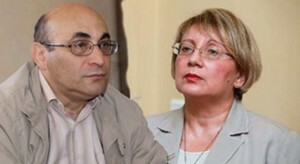 An official request has been made to Interpol on 12 June 2017 by the European Human Rights Advocacy Centre (EHRAC), which represents the couple, to inquire about the existence of any alerts made against Leyla and Arif Yunus by the Azerbaijani Government and to request Interpol to take all appropriate steps to prevent the dissemination of such an alert. Taking into consideration the very poor human rights record in Azerbaijan and the routine practice of politically-motivated prosecutions by the authorities, any attempt by the Azerbaijani authorities to use Interpol alerts against Leyla Yunusova and Arif Yunusov would violate the prohibition in Interpol’s constitution against the misuse of its systems for political purposes and in ways that violate human rights. Interpol should, therefore, refuse any request from the Azerbaijani authorities to use the Interpol Information System against Leyla Yunusova and Arif Yunusov, and we call on all relevant national bodies and authorities not to act on Interpol alerts against them, in case they are issued. Leyla Yunus is a long time human rights defender and activist since the late Soviet era. She is the director of the Institute for Peace and Democracy, a human rights organisation in Azerbaijan that focused on political prisoners, women’s rights and other issues. For almost 30 years Leyla Yunus and Arif Yunus have been involved in compiling comprehensive lists of political prisoners in Azerbaijan. Leyla Yunus is a Knight of the French Legion of Honor, winner of the International Theodor Hacker award, Laureate of the Polish Sergio Vieira de Mello Award and a finalist of the 2014 Sakharov Prize of the European Parliament. Arif Yunus is a prominent Azerbaijani historian and human rights activist. He is the chairperson of the Conflict and Migration departments at the Institute for Peace and Democracy. Throughout his career, Arif has published over 30 books and several articles on the history of Azerbaijan and on Azerbaijani-Armenian relations. In his work, he has promoted dialogue between intellectuals from Azerbaijan and Armenia, and for many years has advocated for a peaceful resolution of the conflict in Nagorno-Karabakh. He has supported numerous victims of torture and spoken out repeatedly against politically motivated detentions. 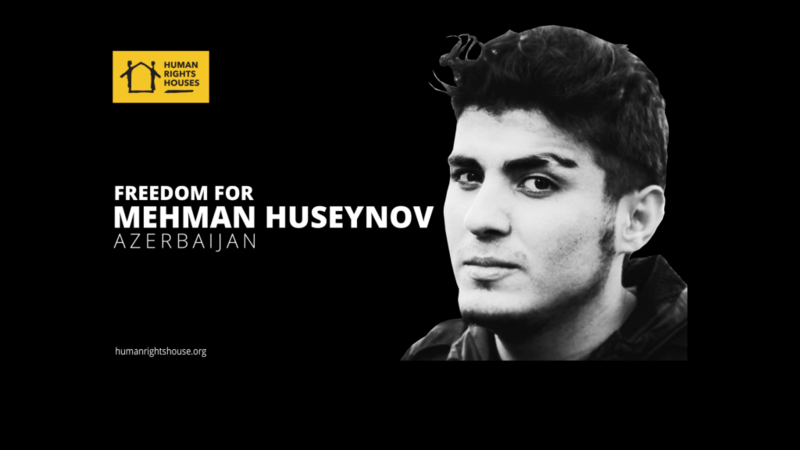 Member and partner NGOs of 13 Human Rights Houses issue a joint letter calling for urgent action from the international community to ensure the life, health, and rights of imprisoned Azerbaijani photojournalist, video blogger, and human rights defender Mehman Huseynov. 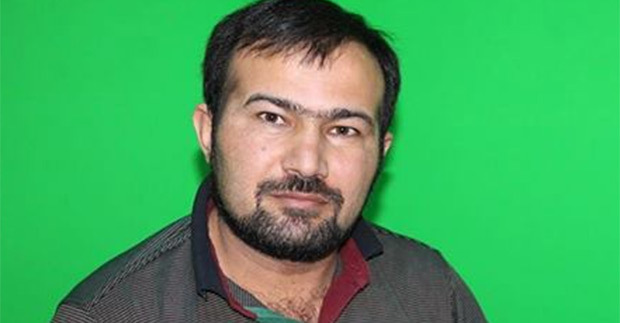 The editors of the Index on Censorship Freedom of Expression Award-winning newspaper Azadliq have launched a letter-writing campaign to journalist Seymur Hezi, who is in prison.